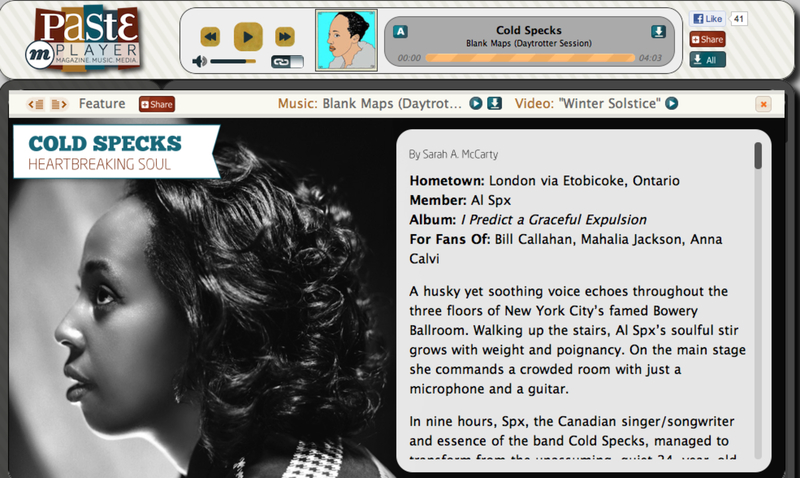 I first posted about Cold Specks almost one year ago, and since then I pitched and wrote a feature on the band and Al Spx (the essence of the band). The feature was just published in Paste’s digital magazine the mPlayer as part of its Best of What’s Next issue. ← R.I.P. Tony Scott – You’re so cool.